similar to all of you, i’ve been really busy this holiday. thus, i’ve had a difficult time posting. i barely was able to get this project completed. i originally saw this idea in the garnet hill holiday catalog. of course their price was pretty expensive and i thought i could recreate it pretty easily. 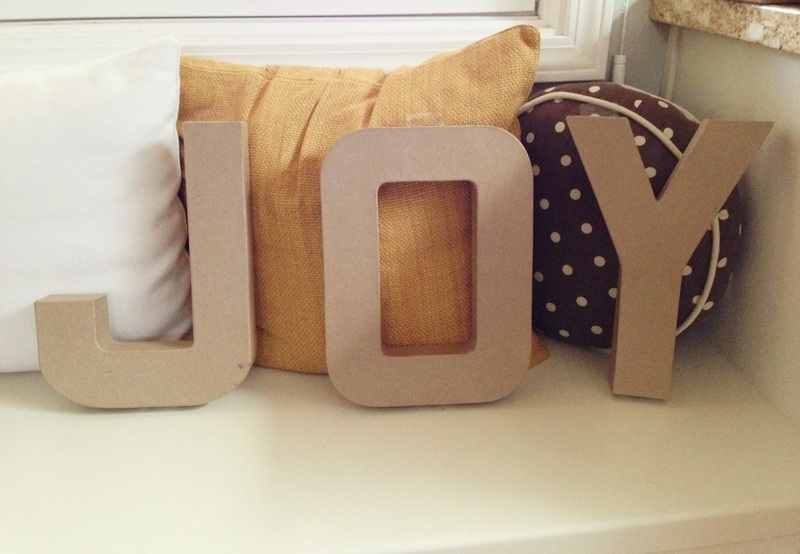 here is what you’ll need for the project… i bought these letters (around 14″ in height) at joann fabrics but here is the link to some on Amazon: 8″ paper mache letters 23.5″ paper mache letters . there are bigger ones, but i opted for the medium size ones. before you begin, i would highly suggest you put down newspaper or parchment paper just to cover your working surface. 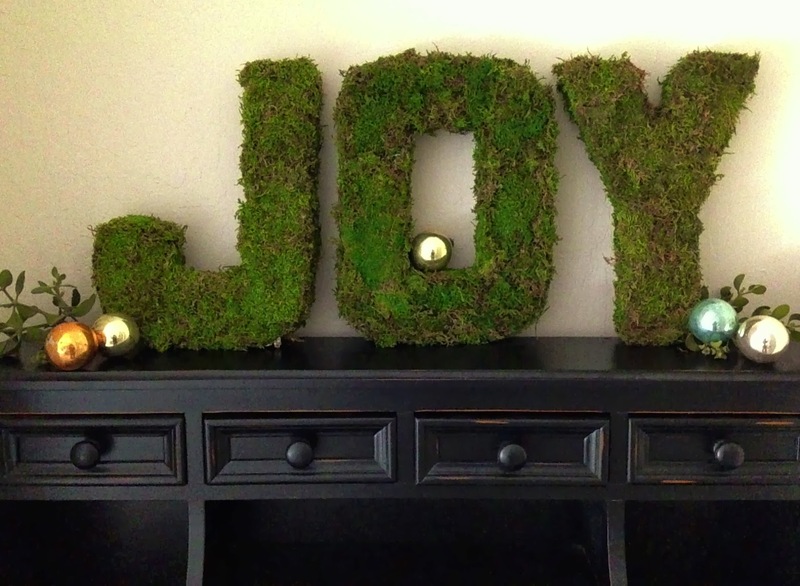 this project gets messy due to the dirt and debris in the moss. also what you wear while you do this project is important. 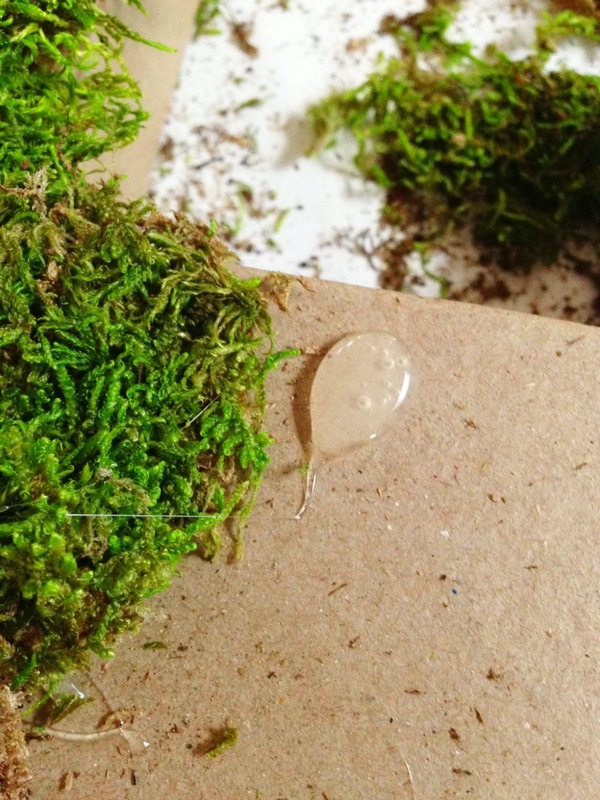 i wore a fleece top, and it acted like velcro to the moss. i was a covered with the stuff! :o) anyways, i used hot glue and it worked just fine. i just worked in patches and it was kind of like a jigsaw puzzle. 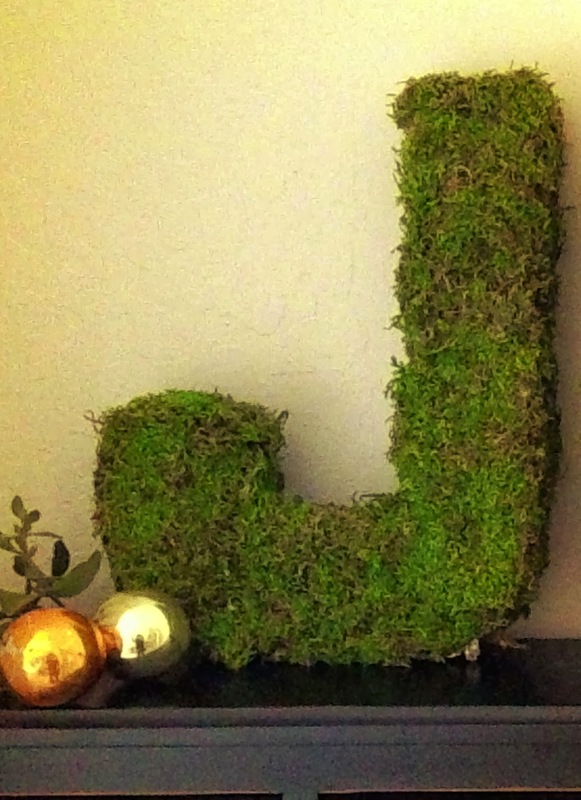 i was tempted to just place the whole sheet of moss down, but covering it with patches looked better. i did cut the sheets for the sides and not patches, since no one sees the sides much. using the sheet pieces for the sides made the project go a ton faster. 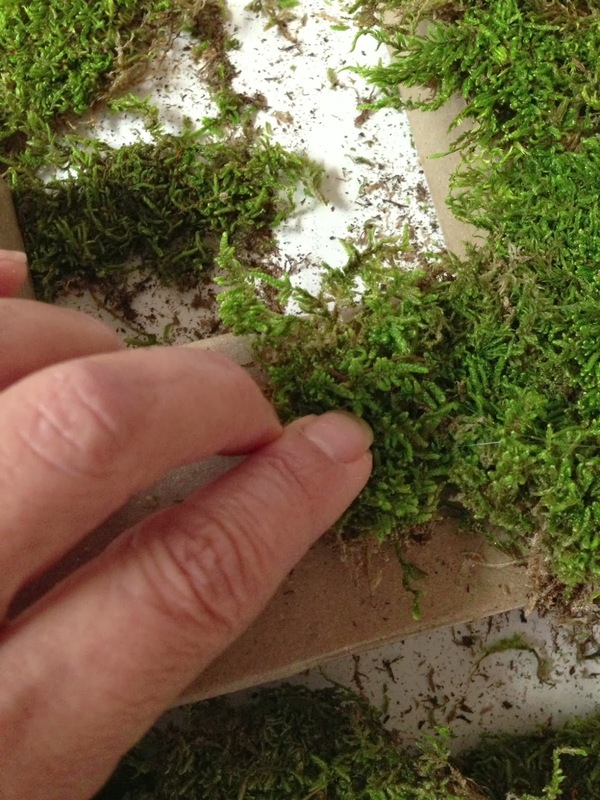 you can lay out your moss before you start gluing, that makes the process go pretty quickly. That's such an amazing idea. Thanks! I'm glad you liked the idea. I have more projects for the new year, and now that Christmas is passed, I hope to get to post them! Happy Holidays to you and your family too! This is What Happens When You Have Way too Many Pillows, My Fall Tour!